Welcome comedy fan! I'm Greg Aidala, an award-winning comedian / actor based in New York. I began my career in 2001 and since, I've performed from New York City to Los Angeles with such comedians as Jerry Seinfeld, Dave Attell, Colin Quinn, Nick DiPaolo, Kathleen Madigan, Charlie Murphy, Bo Burnham, Jackie 'The Joke Man' Martling, Pete Holmes and Owen Benjamin. In 2005, I formed my own entertainment company, radial gage entertainment. 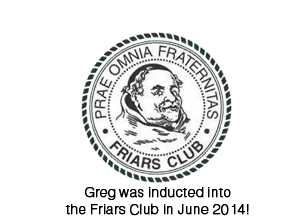 In 2014, I was inducted into the esteemed Friars Club in New York City. I produce and host The Brew Ha-Ha Comedy Showcase - an award-winning professional touring showcase that has been featured all throughout the Northeast and New York City. Launched in 2006, the showcase consists of performers who have been seen on national television anywhere from The Tonight Show Starring Jimmy Fallon, The Late Show with Stephen Colbert, The Late Late Show with James Corden, Conan, Late Night with Seth Meyers, Jimmy Kimmel Live!, NBC’s Last Comic Standing, America's Got Talent, Comedy Central, HBO, MTV and VH1. LAUGHSPIN magazine has recognized The Brew Ha-Ha Comedy Showcase as one of the longest continually run showcases in the United States. AAA Insurance, NYS Department of Health, Ellis Medicine, MVP Healthcare, Community Care Physicians, Northwest Savings Bank, Saratoga Casino, Monticello Casino and Mooradians Furniture. 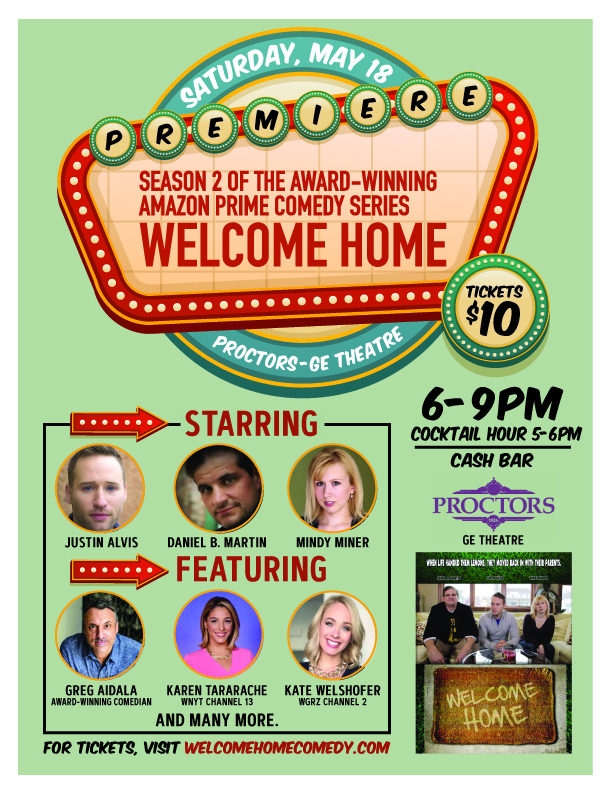 You can also see me in films and the popular Amazon Prime web series 'Welcome Home' and I'm a recurring guest on The New York City Crime Report in New York City. I'm also a regular at comedy clubs in New York City. If you're looking for fun ways to celebrate your company's office party or raise money for your favorite charity, I can assist you in producing a clean comedy show that will leave everyone in attendance feeling good. Since 2007, I've worked with such organizations as The American Cancer Society, Leukemia/Lymphoma Society, Make-A-Wish, Catholic Charities, Fire Departments, Churches and Elks Lodges among others. To date, I've helped raise over $150,000. Click HERE to email me for more information. At my alma mater high school (Colonie High) in upstate New York, I created 'The Knock, Knock. Who's There?' scholarship which is awarded to students planning on attending college for the Arts.